The third episode of Life is Strange, entitled Chaos Theory, came out last week. I have to say, I was really looking forward to the latest installment of Dontnod’s take on the episodic adventure game. The second episode, Out of Time, was a bit flawed (because of the adventure part in the junkyard) but was still an excellent episode. But the biggest reason why I wanted to get Episode 3 was to see what would happen because of the events of Episode 2. …but don’t worry. I won’t go into too much detail. I’ll make sure this is a SPOILER-FREE review. And I mean I won’t even be spoiling the events of the previous episode either. This episode starts out a few hours after the ending of Out of Time, Life Is Strange’s second installment. The entire Blackwell Academy is in a funk because what happened. Eighteen year old Max Caulfied is now more determined to find out what happened to Rachel Amber, Chloe Price’s friend, as well as try to get justice for the abused Kate Marsh. Justice for the saddest face in video game history! In Episode 3, you’ll have to use Max’s ability to rewind time a lot. I mean, a lot! Virtually all of the puzzles involve you using your power over time in one way or another. While some of them are used in creative ways, there are a good number of solutions that are just mind-numbingly simple. There were times when I would be wracking my brain and searching the environment for interactive items. Then I would find out everything you can click on and/or examine are just red herrings and all you need to do is rewind time at the right moment! It’s nice they put an enormous amount of focus on Max’s ability but the misleading “clues” were too distracting. Most of the puzzles aren’t that hard but Life Is Strange has the bad habit of not making everything selectable on the onset of entering a new area. Unfortunately, they won’t be selectable until you perform a specific action. That’s happened before in Episode 1 (Chrysalis) and Episode 2 (Out of Time) but Chaos Theory takes it to a whole new level! It makes sense in a way but it just makes the world of Life Is Strange feel so artificial. It would’ve been better if they made it so you can “look” at them but couldn’t do anything to them until it’s necessary. And I really want a soda now! The episode’s tone is uneven. It just bounces from sullen and gloomy to cheerful and perky at the drop of a hat! As I mentioned, at the start of the episode, everyone in Blackwell Academy is pretty shocked because of the events of Episode 2. Max even berates Chloe at one point for being so jovial during such a trying time! Yet, a few minutes later, Max herself clowns around with Chloe like nothing’s happened! I also thing this is one of the slowest episode so far. Chaos Theory feels more like Dontnod is setting things up for the next two episodes. You do find more clues that may get both heroes closer to the truth but Max and Chloe don’t do anything with it. I’m betting what they find out in this episode will pay off in the future, however. Also, the “major” choices in this episode really feel trivial when compared to the one’s we had to make before. But, who knows? Maybe these trivial actions will affect my ending in ways I just can’t see. Even though the plot plods on at a leisurely pace. That doesn’t mean that it’s boring. 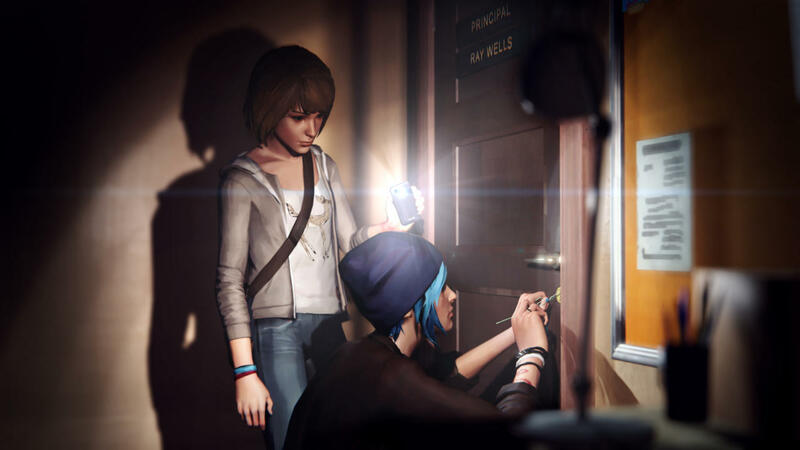 As Max and Chloe are at the forefront this time around (you have minimal contact with other characters in this episode), it’s nice to see a lot of character development for them. Max is more or less comfortable with using her powers. The relationship between the two characters also feels a lot deeper now. The best part of Chaos Theory is its whiz-bang ending sequence. One that turns the entire story on its head. It’s a really, really good twist in the story and just got me salivating for the next episode. If you played through Episode 2 and thought the ending sequence was good, you’ll be more than impressed with what Chaos Theory has in store! 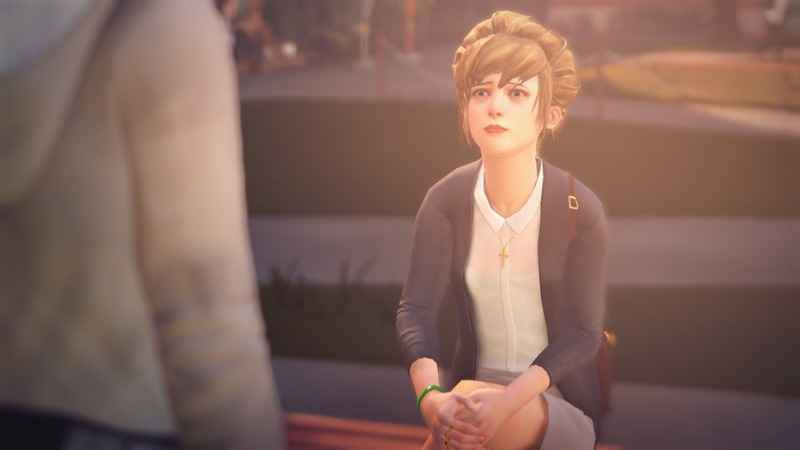 All-in-all, the third episode of Life Is Strange is still a good but uneven entry. However, I think, when the fourth episode comes out, this episode will seem much better in hindsight. Chaos Theory thoroughly makes up for the rather lackluster adventure and puzzles with a phenomenal ending sequence. 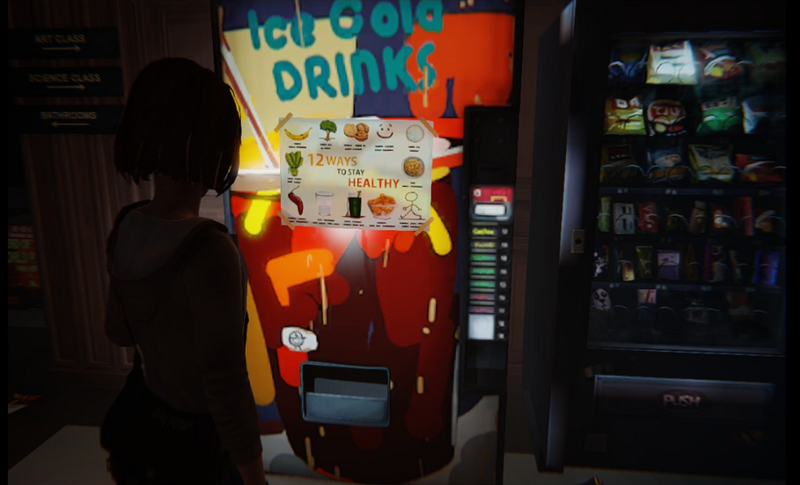 Have you played Life Is Strange: Episode 3: Chaos Theory? What did you think of it? Let me know in the comments section below!